What Exactly Is Completely Green Carpet Cleaning in Morrisville, PA? If you are hunting for a professional, affordable “green” carpet cleaning company in Morrisville, PA, OxiGreen is here for you! OxiGreen, a hundred percent green carpet cleaning service, is serious about a kid and animal safe carpet cleaning process. In a day and time when protecting the environment is an important priority, we are pleased to say that we here at OxiGreen in Morrisville, PA share that top priority with you. One of the commitments that makes us different from other carpet cleaners is our choice to feature a detergent-free process. Wacky as this seems, you could in fact eat our detergents, not that you would! That is just how nontoxic they really are: 100% natural and biodegradable, safe for the environment and most importantly for your family. Together with "green" carpet cleaners, at OxiGreen we have made a substantial investment in truck-mounted carpet cleaning equipment to powerfully and efficiently clean your carpets. As a result, we're equipped to remove pollutants that are deep down in your carpets, like dust mites and their body waste, pollens, pet dander, dirt and other allergens. This type of thorough cleaning is not possible when working with your typical vacuum cleaner or carpet cleaning machine. When you combine our truck-mounted extraction procedure with a eco-friendly cleaning technique, we are able to dislodge and draw out even the deepest set in debris, leaving behind carpets that are fresher, cleaner and more rapidly drying. Maybe you have other questions about our process or our company? 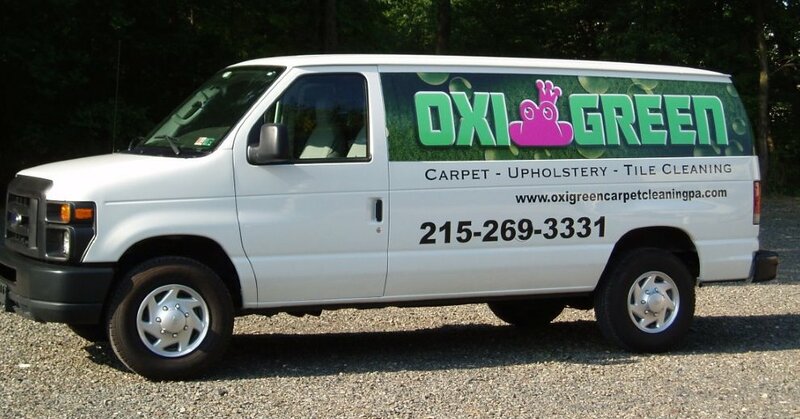 Give OxiGreen a call at 215-269-3331 and we will do our best to provide you with answers you need. It would also be our delight to visit your residence and provide you with a 100 % free consultation on your carpets’ overall condition. If you would like, you may also check us out on the web at http://oxigreencarpetcleaningpa.com . Our webpage can help you become more acquainted with our business and help you be informed about any special bundle pricing offers, along with our other services such as carpet stretching and professional carpet repair. Call today and become one of OxiGreen’s many happy, repeat customers.